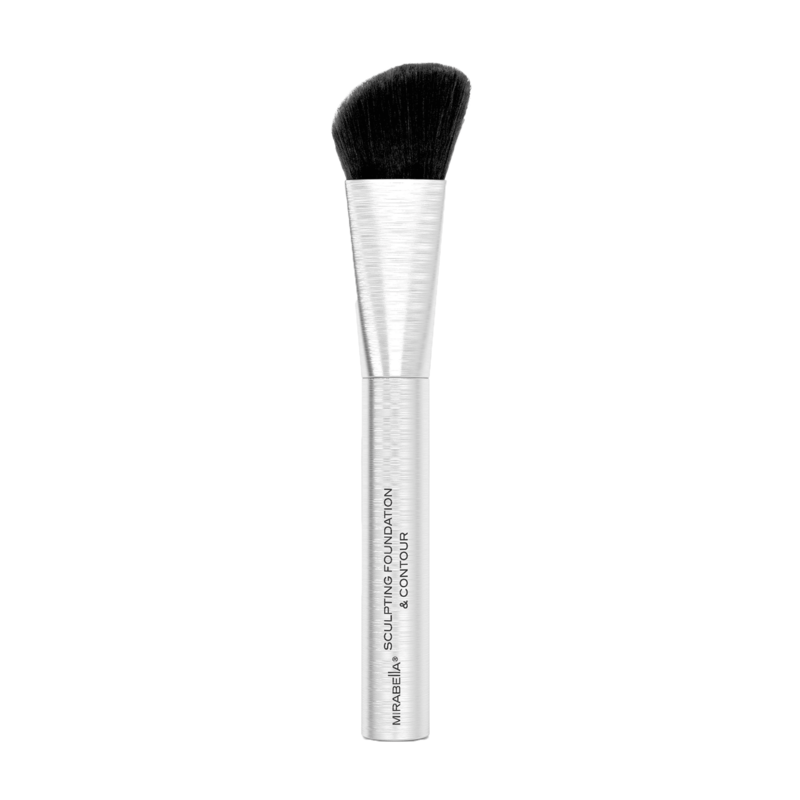 Achieve an immaculate canvas and contour with Mirabella''s Sculpting Foundation and Contour Brush. Designed with the perfect shape, density and texture in mind, this versatile brush''s luxurious synthetic bristles fit into all of the contours of the face, including around the nose and eyes, for even distribution and coverage of cremes or powders. Luxurious super-soft synthetic bristles.